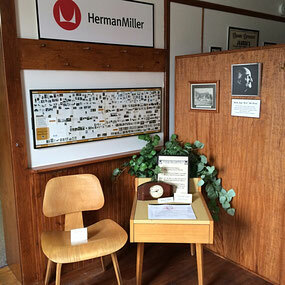 Howard Miller's clock division produced clocks only up to 1937 when it was spun off and renamed, under the leadership of Herman Miller's son. Howard Miller. This Birch accent table with leather top was very popular in the 1950 home decor. Designed by George Nelson. The model DCW (Dining Chair Wood) in maple was very innovative for its time. It was produced from 1946-1953. It has been reissued today as part of the Herman Miller Retro 1950's Classic collection. D.J. 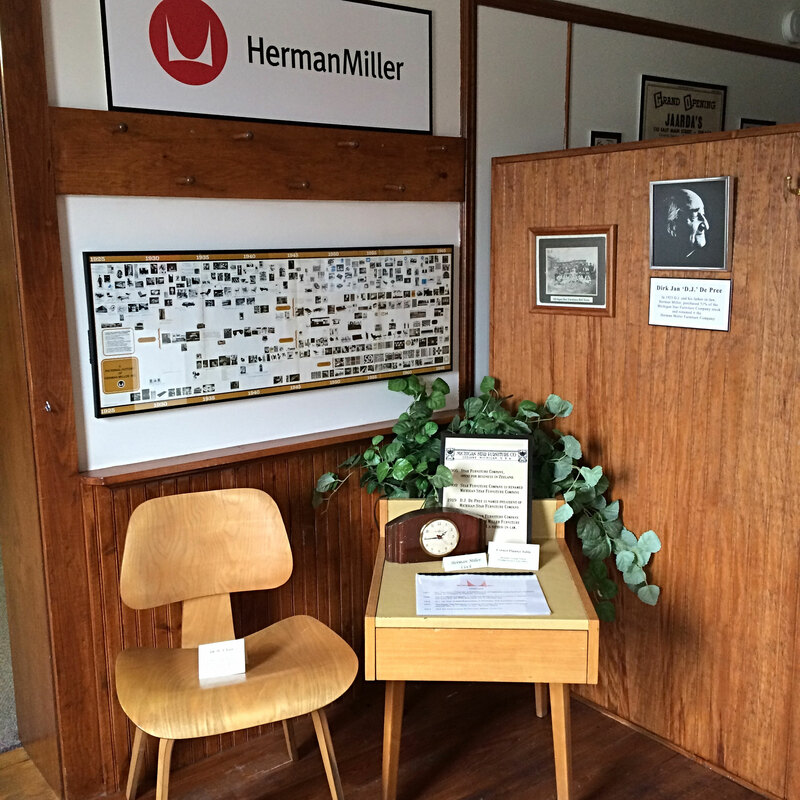 De Pree, the founder of Herman Miller.